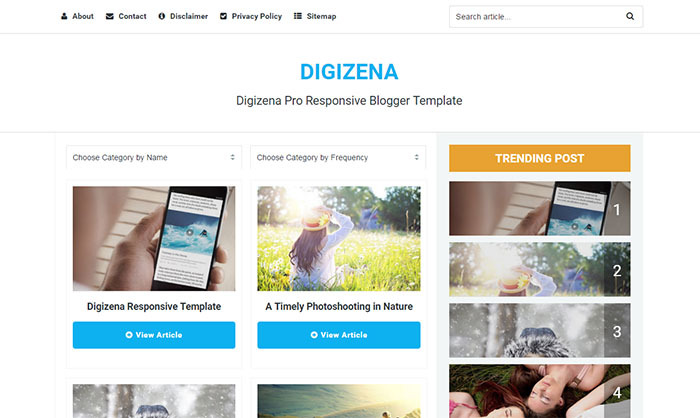 Digizena Blogger Template is one of our best release. The template comes with some advanced features and help you to customize your website according to your interests. If you’ve Gallery, Technology or News website then this theme is probably best choice for you. According to Search engine algorithms, if your site has fast loading speed then it help a lot to rank batter. Because everything on internet is hurry and everyone want to see things quickly, So that’s the reason you must need a quick, responsive and clean design for your website.